Smart straps are all the rage at the moment. Pebble's forthcoming Time smartwatch boasts an open platform for developers to knock-up connected straps, the Apple Watch has a secret port for third-party bands and the likes of Montblanc and Kairos have built entire devices with the connected tech in the straps. 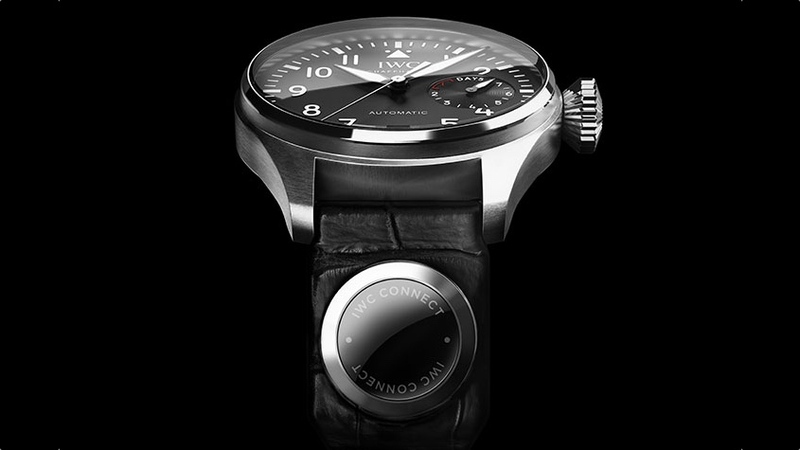 And now, Swiss luxury watch maker IWC Schaffhausen has taken the covers off of its IWC Connect device, a circular module that attaches to the strap of its traditional timepeices to add fitness tracking and internet of things connectivity. At this point, it's not clear what the IoT functionality will entail - that all depends on the depth of the companion app, which has yet to be detailed. What we do know is that the tech will be built into existing IWC sport watch ranges, starting with the popular Big Pilot models. "Seeing that many of our customers and brand ambassadors are wearing connected devices alongside their IWC watches, we chose to work with a like-minded digital technology company to develop an elegant, aesthetically complementary solution that eliminates the need to have additional devices on the opposing wrist to your IWC," said Georges Kern, CEO of IWC Schaffhausen. "But, and this is essential, we do not touch our beautiful watches – an 'IWC' stays a mechanical handcrafted timepiece. We've engineered an intelligent design solution which perfectly integrates and underlines our product worlds." The Swiss smartwatch assault is now well underway with the Tag Android Wear device due in November and the MMT venture producing connected watches from the likes of Frederique Constant and Alpina.